Why should a water polisher be installed in a rice production line? It’s true that not every production line has a water polisher installed. I’ve seen some of the simplest production lines without a water polisher all the way up to sophisticated lines that have up to three water polishing steps in the production line. What do they do and what is the purpose? In rice milling, abrasive stones are used to remove the bran layers from the rice kernel. This process creates scratches on the kernel. Turn your left hand palm down and, with your right hand, scratch back and forth on the top of your left hand with your fingernails. This sensation is similar to the abrasive stone action of removing bran. Without a water polisher, those unpolished, scratchy kernels make it into your final packaging and leave the consumer with a sub-par rice kernel. The ZaccariaUSA WPZ-2 Rice Water Polisher provides significant quality finish to your white rice. Take your same left hand and with your right palm, rub the top of your left hand. That action is similar to what happens in a water polisher. The kernels work against each other in a very fine mist environment to remove and eliminate those scratch marks, leaving you with a translucent, beautiful, gem-like appearance. Click here to see how much of a difference a water polisher can make in your rice mill. 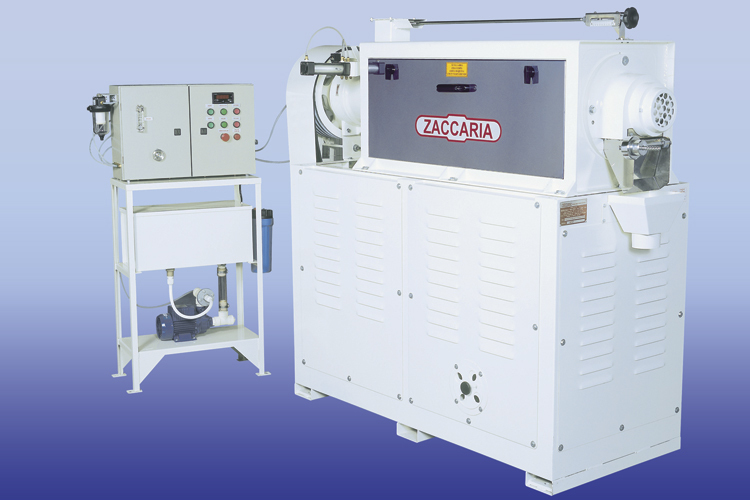 For more information about the WPZ-2 water polisher or any other of the ZaccariaUSA rice processing equipment, feel free to contact us at 972-924-3443 and don’t forget to check out our Facebook page at http://www.facebook.com/ZaccariaUSA.